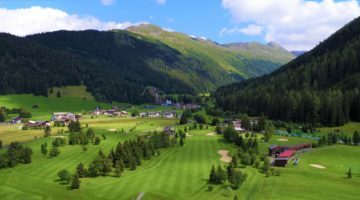 Arosa boasts the highest 18-hole golf course in Europe, guaranteeing you an unforgettable vista of its beautiful mountain scenery. Time stands still when you surround yourself with panoramic views and unique alpine flora. And in the midst of this idyll, there just waiting to be discovered, is a highly challenging golf course noted for its great attention to detail. 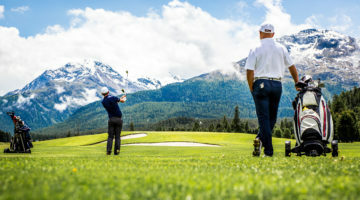 At an altitude of over 6,200 feet, Hole 5 beckons you to the highest tee in the Alps. 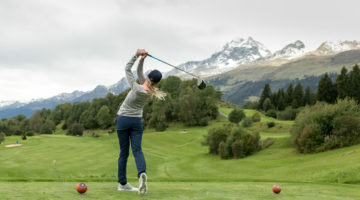 Accept the call of the mountains; come and play an incomparable round of golf and enjoy cosy club atmosphere in Arosa. Driving range, practise bunker, 2 putting greens. Members of the ASG, ASGI, Golf Card Migros or an other international recognized Golf Club/ association (DGV, ÖGV) are welcome. The Course Permission is required.